Sunseeker Predator 74 is a powerful motor yacht out of the ordinary. This motor yacht is an impressive Power boat and with beautiful design. An impressive boat that you recognize both for its high performance, comfort and design. For you as an owner who want something extra for the experience of speed, comfort and entertainment. A Swan 371., ready for the seven seas. Najad 360 - New price! Sun Odyssey 42 - Offer! During the coming week we will display two Hallberg-Rassy boats. One HR34 in mint condition and one HR37. 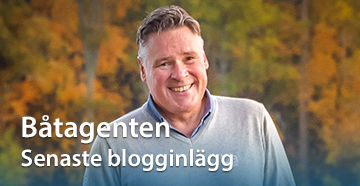 Regina af Vindö - Springdeal!